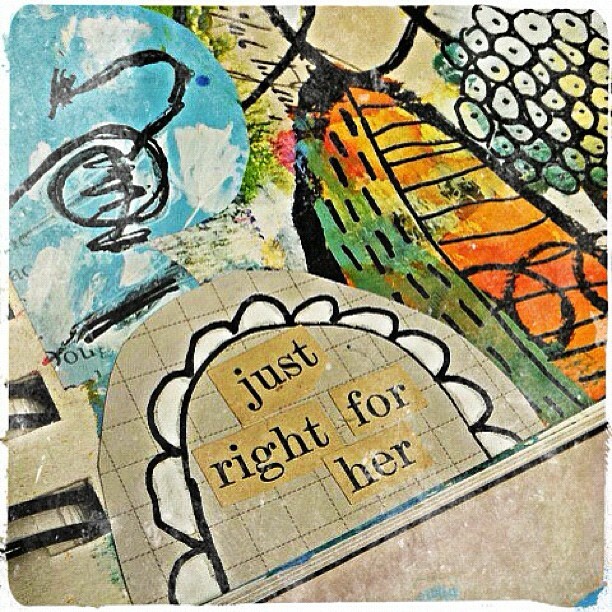 "Just Right For Her" art journal page to celebrate my 23rd wedding anniversary. Stencils, alchohol ink and doodles with oil pastels. More stencils, marks and doodles. White paint and layers of papers. Doodling, accents with white pen and handmade rubber stamps. Acrylic paint and more doodles. 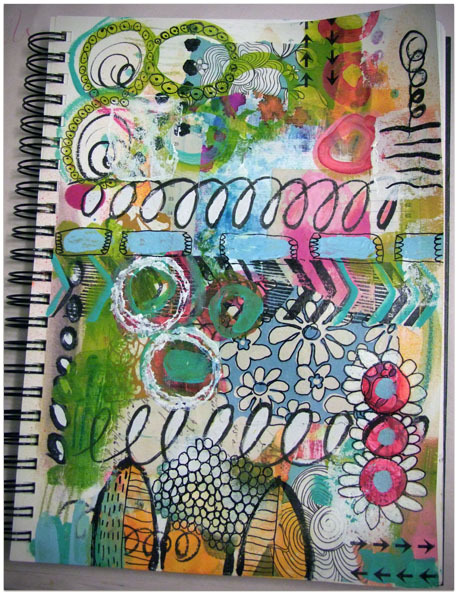 Acrylic paint, doodles and rubber stamping. Burlap scrap, old book papers, scrapbook paper, black dots Smash tape by K&Company, masking tape, arrow stamps (manufacturer unknown), chevron stamp handmade by Samantha Kira Harding and Adirondack Alchohol Inks.